The Times report details in its story, bluntly titled How the U.S. Government Misleads the Public on Afghanistan, how public perception has been carefully managed amidst pressure on military leaders to justify massive DoD taxpayer spending by claiming Taliban controlled territory is receding and the terrorists are on the run. When an Afghan police or military officer deserts his post or simply doesn't show up to work, supervisors simply keep them in the system. The report notes that Afghan officials estimate this to be the case for a whopping one-third of their total claimed security personnel numbers. And even reported "victories" routinely get inflated, resulting in stark contradictions among independent military analysts and official Pentagon sources. 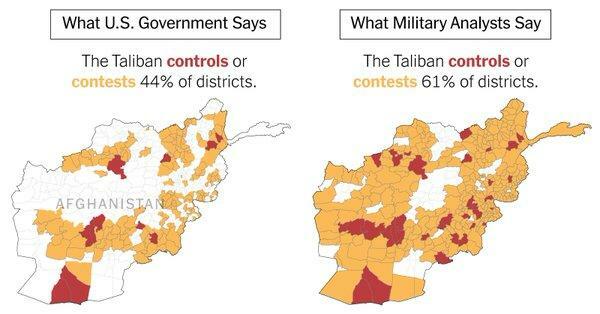 The NYT finds the Taliban in reality may actually claim well over half the populated territory of country as opposed to the official US government claim that it controls or contests some 44% of districts across the country. Meanwhile other studies by independent monitoring groups have tallied that America's longest running war has already topped over $1 trillion. 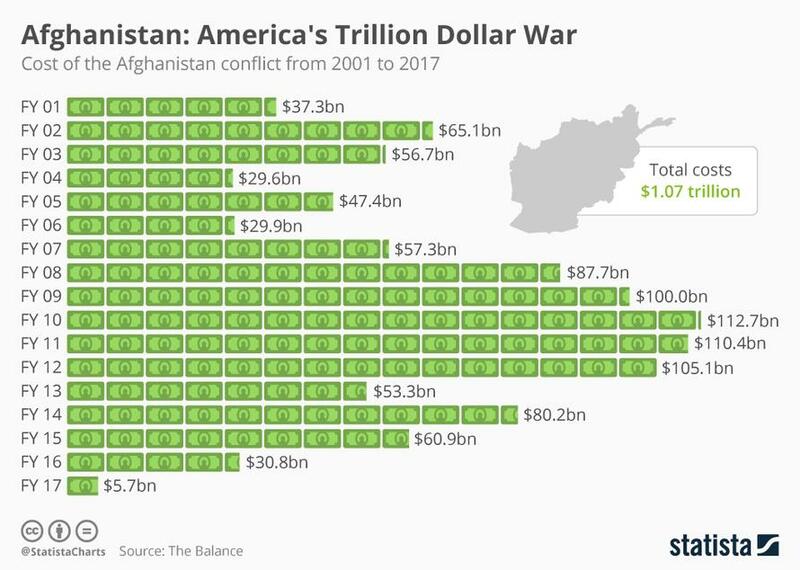 The website "The Balance" has been keeping track of Afghanistan's economic impact and says the conflict has now cost the U.S. at least $1.07 trillion since 2001. $773 billion can be attributed to Overseas Contingency Operations funds specifically dedicated to the war. while the increase in the Veterans Administration budget cost $54.2 billion. Financing Afghanistan reached its zenith in 2010 amid Obama's surge when costs topped $112 billion. That gradually dropped as U.S. troops shifted their focus away from offensive operations to concentrate more on training Afghan forces. Last month it was revealed that the Trump administration is actually discussing the possibility of privatizing the war by handing its execution and advisement over to a "viceroy" that would oversee an army of mercenaries. 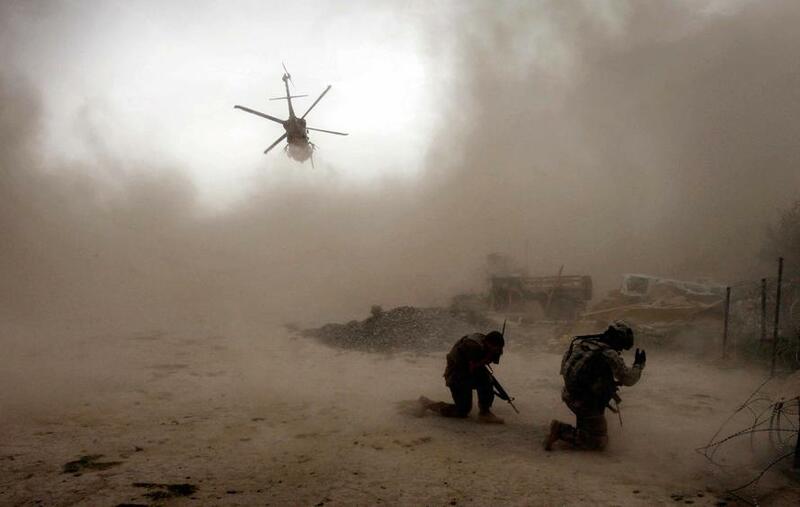 One top contender competing to be a major contract recipient in Afghanistan is Blackwater founder Eric Prince and his multinational Frontier Services Group (FSG). No doubt there are many more such shadowy figures and defense companies lined up to keep milking the Afghan quagmire for yet more years to come.